Hello There. Thank you so much for stopping by our Virtual RV Showroom where the weather is always perfect. Since we don’t get to meet you in person (just yet) let us take a moment to tell you a little about ourselves. We are family owned and operated since 1977. Mom and Pop who started it all (part time now) Son and Daughter, Son in Law, Father in law the list goes on… when you decide to purchase an RV from Quality RV you really are becoming part of our family. So now, how do we sum up a 40 year business in a few short lines. Mom and Pop opened an RV dealership in a little farming community in Heyworth, IL back in 1977 where they had a successful business until 1992. We had family in Kansas who we visited very often and each time we drove thru the beautiful Lake of The Ozarks we knew this is where we belonged. Well in 1992 I guess you can say we threw caution to the wind and sold the business and moved our location to a little town called Decaturville, MO. Don`t worry if you have no idea where that is, no one does. We did sales and service at that location for 10 years until we literally ran out of room. It was also a bit of an inconvenience for our customers to visit us in such a remote location. In 2002 we located the property that Quality RV now sits on. Our family has turned this weeded 7 acres into a very nice (not so little anymore) full service RV Dealership and we love everything about being a part of the Ozarks. So now that you know a little about us, what do we offer? 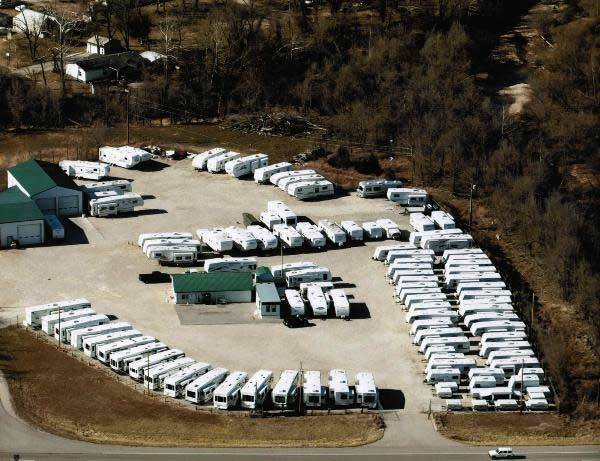 We are a full-service dealer with over 200 new and used 5th wheels and Travel Trailers in stock. We proudly offer Salem, Jayco, Passport, Cedar Creek, Hemisphere, Cougar, East to West and Rockwood. Plus Our toy hauler lines XLR and Octane. 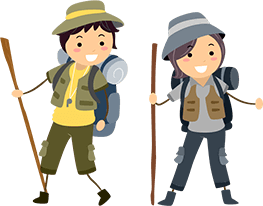 Whether you have been R-Ving for years or this is the start of your first adventure… We welcome you to the fun world of glamping (camping but with all the nice stuff). When you visit, you will experience absolutely no high pressure sales tactics. All our campers are open so feel free to look them over with ought someone hovering over your shoulder (yeah we hate that also). When you are ready. Just wander into our sales office where We have brochures, coffee and smiling faces to answer all the questions you have come up with on your shopping adventure. Although we are a small-town RV dealer this means “BIG” savings for you and at Quality RV we have always liked the idea of treating people how you would like to be treated. 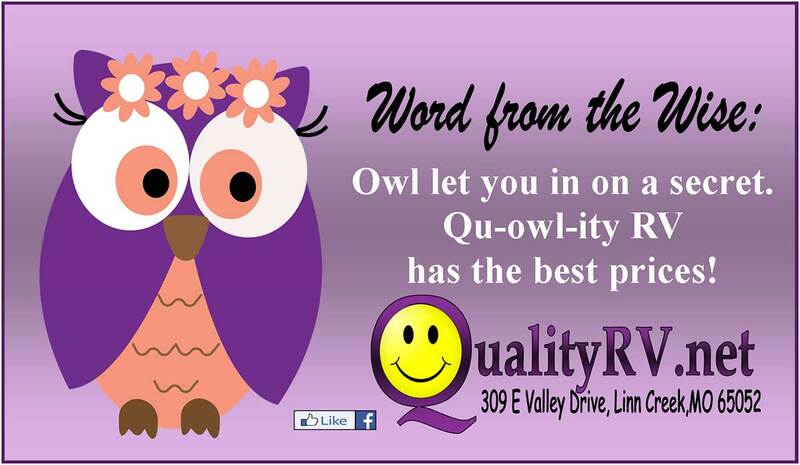 So, stop in today and see what all this Quality RV hype is about.